South Austin Foodie: A Chat with Sugar Mama's Bakeshop! 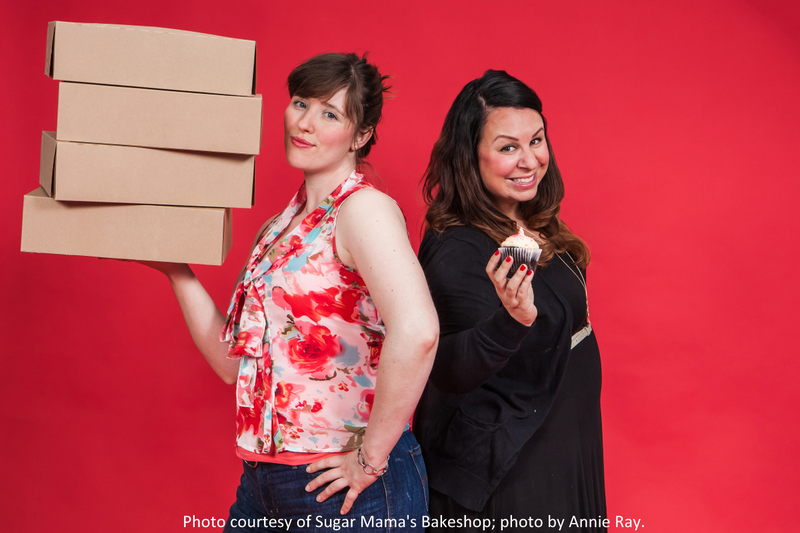 A Chat with Sugar Mama's Bakeshop! 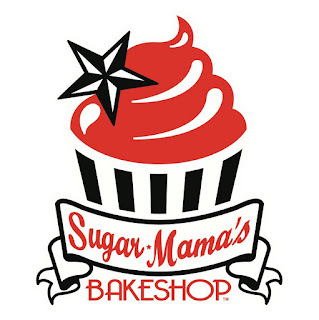 I live near Sugar Mama's Bakeshop, located at South First and Mary Streets, and I've been a fan from their opening (Carrot cake cupcake? Chocolate mint bar? Yes, please!). I recently chatted with owner Olivia O'Neal about the bakery and their recent win on the Food Network's Cupcake Wars. Lead decorator Andrea Leck and Sugar Mama herself, Olivia O'Neal. 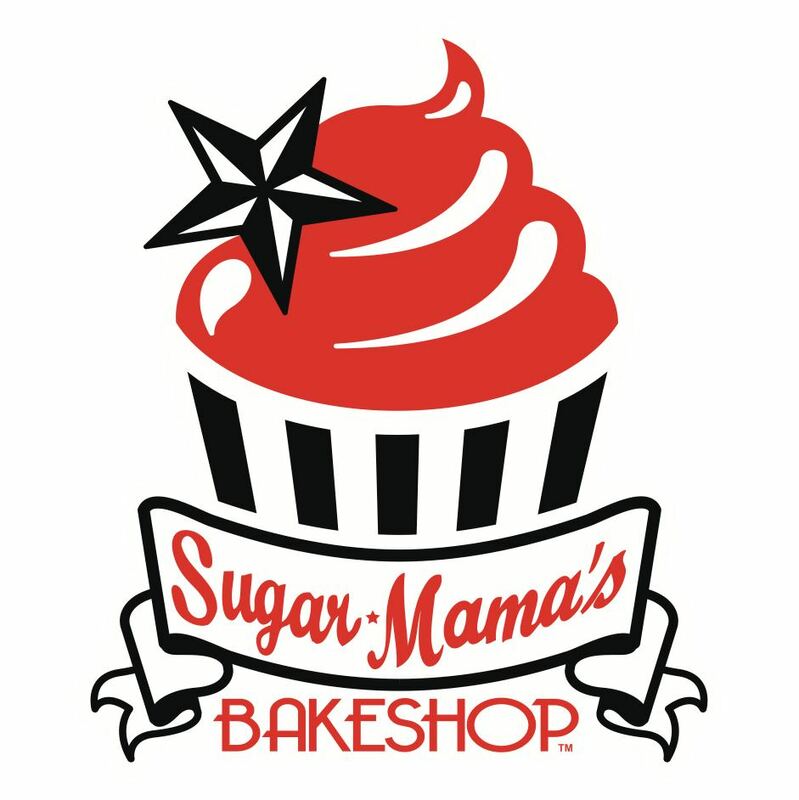 South Austin Foodie (SAF): How did the concept of Sugar Mama's come about? How did you decide on a location, especially when South 1st Street wasn't as hip as it is now? Olivia O'Neal (OO): I spent about three years prior to opening working on a business plan and testing recipes. I started the process back in 2005 and we finally opened in 2008. We wanted a location that felt like an old fashioned bakery and was close to (my) home. We drove by the space on South 1st so many times and when we walked into it, I knew it was "the one." We definitely took a chance as this area was just starting to develop and there were a lot of problems with littering, loitering and theft in the beginning. Fast forward 5 years and it's a completely different street! SAF: How big is your staff? Do you have people baking around the clock? SAF: From start to finish, how long does it take to make a batch of cupcakes, and what size/quantity is an average batch? OO: It really depends on how complex it is, for a flavor like the Marilyn Monroe which is vanilla on vanilla, I could do around 100 in a little over an hour, including baking and cooling time. The ones with fillings and special garnishes take a lot longer. The batch size depends on the day of the week and how many orders we have. It could be 24 or it could be 400, every day is a surprise! OO: We look to desserts that were favorites growing up, as well as more modern desserts. At the beginning, taste testing could go on for months, now it's usually a matter of weeks or days as we've got a good system down. My personal favorites are anything with chocolate. I am a pretty picky person when it comes to desserts and I like my staff to have a lot of input. They have to do a lot of convincing when it has cream cheese frosting, nuts or coconut as I don't really enjoy any of those things -- it's purely a texture thing for me. SAF: Prior to Cupcake Wars (CW), what have been some of your biggest victories and challenges? OO: Our biggest victory has been our ability to open and remain open during one of the greatest financially challenging times in the US. Our challenges are to remain focused on consistency. No matter how often you make something there will be variables which sometimes come from the producers we purchase from and we have little control over them. But making a consistent and delicious product day in and day out remains our focus and I think we're getting pretty good at it. SAF: Okay, on to CW! Is it an application process? When were you selected? When did you film? How long have you been bursting at the seams with this fabulous secret!?? OO: We were approached to audition and a former employee's partner helped us get a great video together. It really showcased us, our shop and Austin. We were selected last fall and filmed a month later in November! SAF: So you kept it a secret for five months! SAF: How much info did CW give you going into it? Did you know in advance it was going to be Weird Al, or at least that you'd have to come up with these kind of crazy cupcakes? OO: I can't say much due to the strict confidentiality agreements we were required to sign, but let's just say there are a LOT of surprises and it was very intimidating and we never knew what was coming next! SAF: Was everything actually filmed in ONE day? And did those carpenters really build the accordion and food trailer displays in two hours?! Apart from winning, what did you and Andrea enjoy most about the experience? OO: Absolutely! It was seriously the longest day of my life. The rounds go so fast and the only down time you have is while they are judging in-between rounds. No one believes me that it all happens in one day, but I swear it does! Andrea and I loved working with the crew and feeling like movie stars in LA. We had drivers and at the end of our crazy days out there we went out to some fabulous meals at some great restaurants -- the highlight was our meal at A-Frame. The whole experience was wonderful and we're hoping we get called back to compete in a Champion Round. OO: (clockwise from top left) 1) The Waffle King, vanilla cupcake with "razzleberry" filling, and vanilla cream cheese frosting, topped with a waffle bite; 2) Eat It, a coconut cupcake with lychee curd, kumquat buttercream frosting, and a crispy rice cereal decoration on top; 3) The ALpocalypse, a chocolate cupcake with chocolate chipotle truffle filling, and chocolate buttercream; 4) The Polka Cake (now renamed the Honey Baklava) with baklava filling and cinnamon buttercream frosting. OO: He is seriously one of the nicest people ever. He's actually kind of quiet when you're one on one, and he and his family were so gracious at the book release party. And, since Olivia and I talked, Sugar Mama's has had some very exciting news -- they're adding a second location at 2406 Manor Road, which she hopes to have open by Thanksgiving! So for now, swing by the shop on South First, and indulge in a cupcake or pie or layer bar! If you've got a sweet tooth, Sugar Mama's will certainly satisfy! Note: Sugar Mama's winning Cupcake Wars episode will re-air on June 21st at 4 pm CST on the Food Network. Yay Sugar Mamas! I also live in the neighborhood, and I've been a big fan of Olivia's cupcakes since the day they opened.